You may have noticed quite a bit of construction going on at La Cumbre Plaza. One store you may not immediately associate with the construction business actually is undergoing some major renovations itself: Williams-Sonoma. “What do construction and culinary quests have in common?” you may ask. 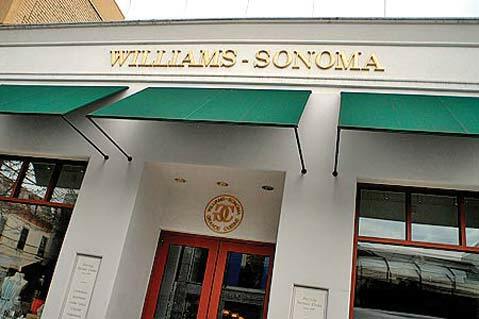 Charles “Chuck” Williams, the founder of Williams-Sonoma, was a building contractor in Sonoma for a number of years before he bought an old hardware store in 1956. He lovingly converted it into a store showcasing French cookware, thus creating the first Williams-Sonoma. The expansion of our own Williams-Sonoma store is expected to finish sometime in the first part of October. Look for an opening celebration, but until then, you can stop by and take a Williams-Sonoma Technique Class. Upcoming classes include Comfort Foods on September 14 and Cocktail Mixology on September 28. And, all you foodies, on October 2, why not take out your Williams-Sonoma Nonstick Goldtouch cake pan and bake in honor of the former contractor’s 93rd birthday? Perhaps bring a slice down to the store. Chuck’s proven that sawdust and cookware make a delicious combination.